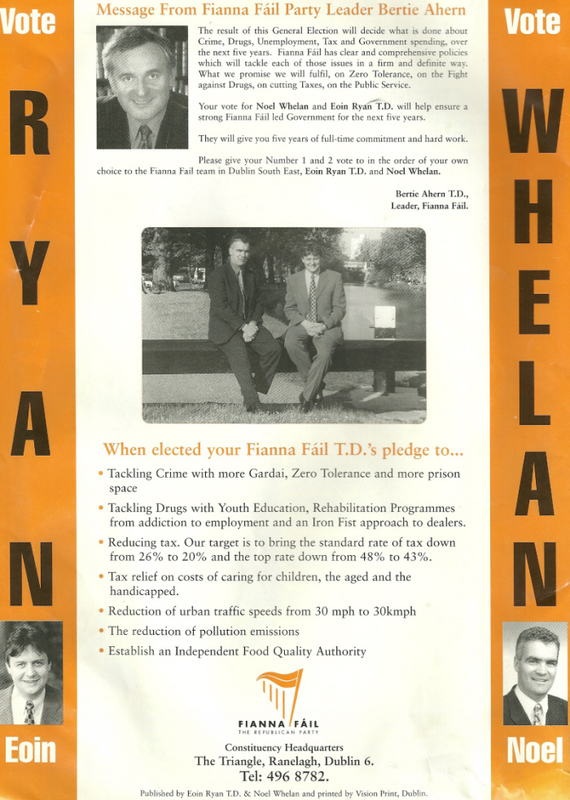 From the 1997 General Election, the now Irish Times Pundit Noel Whelan with running Mate Eoin Ryan on the Fianna Fail Ticket in Dublin South East. 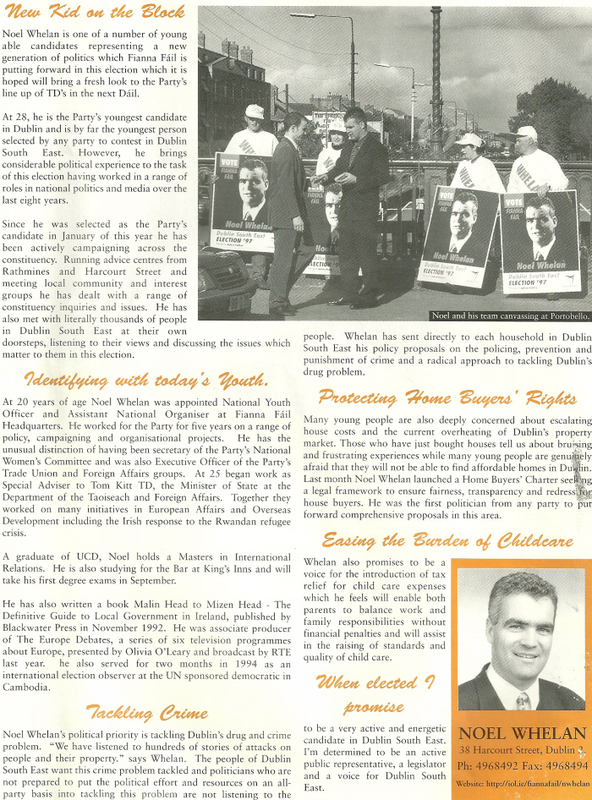 Ryan was elected. 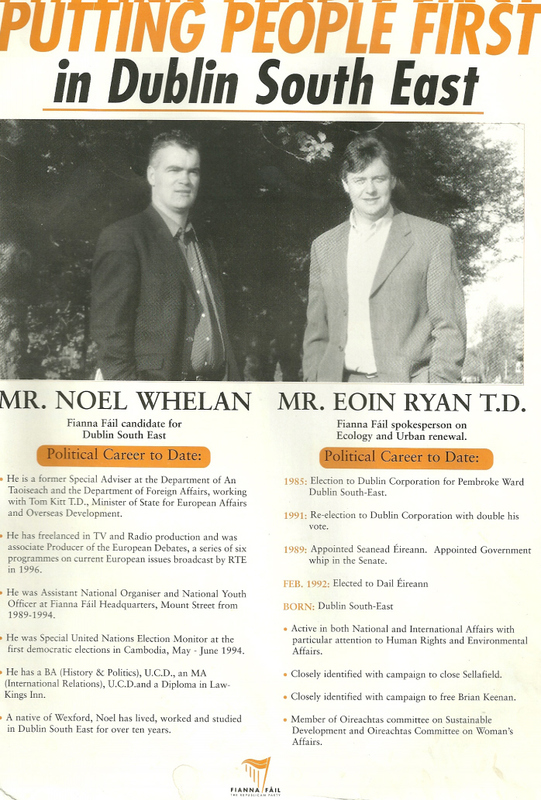 A fairly detailed version of ‘New Kid on the block’ Whelans career, which is impressive. 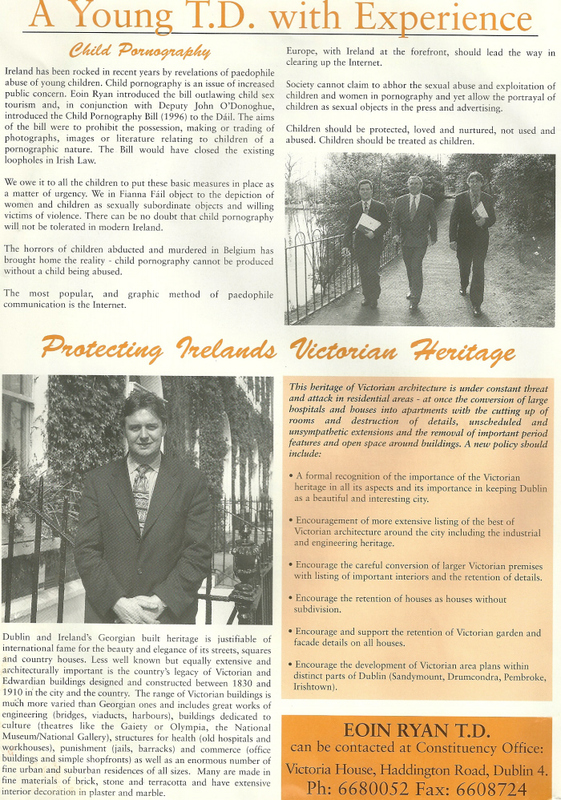 At 28 he was the parties youngest candidate in Dublin.